Do you feel like life is getting on top of you and you could benefit by talking to a professional counsellor or therapist to explore your thoughts and feelings? Perhaps you are looking for ways to manage stress, anxiety or other issues better? Then you have come to the right place! Breath of Change is run by Psychotherapeutic Counsellor and Hypnotherapist Belinda Dimmock (Ad Dip PC MNCS Dip Hyp CS NHS). 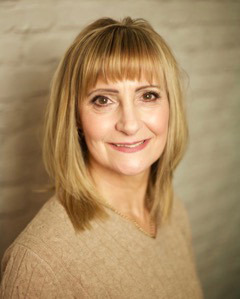 Working with clients throughout Crawley and West Sussex, Belinda helps people of all ages who are having issues with stress, anxiety, grief, bereavement, insomnia, their weight and other eating issues, breaking unwanted habits, self-esteem, amongst other problems. Belinda provides a confidential, safe and supportive environment, where you will feel heard or listened to whilst talking through your issues. You may reach a new understanding of your situation or view your circumstances in a new light, enabling you to find a resolution, helping to restore a sense of balance back to your internal world. Belinda draws on a number of techniques in her work, leading to an integrative approach using different theories and models, depending on the individual. All of us have felt out of depth at some point in our lives. Whether we know why we are experiencing anxiety, depression, stress or other emotional states or we don’t know why we are feeling the way we do, it is often an indication that we need to address our emotions in order to explore the cause of our situation, understand it and create the tools to make changes in our life and learn more about our needs. Start your journey towards a happier and more contented life today by calling us now on 07973 410 935/20 8873 2849 or by emailing belinda@breathofchange.org.uk. She can offer you short-term counselling, more solution-focused on a particular matter, such as a major life change or longer-term counselling over a greater number of sessions to explore personal issues more deeply. Hypnosis is a state of mind and can be a positive tool to help you achieve positive changes to your psychological, emotional or physical nature. Many people describe hypnosis as a trance-like state, which resembles sleep, so many people feel relaxed at the end of their session. You are in control at all times and even though you are in a trance-like state, you can hear and respond to questions or suggestions accordingly. It can enhance concentration and increased responsiveness to suggestions that can lead to alterations in thought patterns and psychological states, leading to reducing stress and anxiety, changing unwanted beliefs and behaviours and overcoming other problems. All Belinda’s hypnotherapy sessions are individually designed and in a calm setting, which is confidential. Working together, we can create a plan that helps you overcome your issues and develop the right mindset to give you increased motivation to achieve the goals you may wish to make. Belinda also uses Emotional Freedom Technique (EFT) and EmoTrance. EFT is a form of energy psychology or counselling intervention, often referred to as psychological acupressure, because it is based on the same energy meridians as those used in traditional acupuncture. Instead of using needles, the practise uses the tapping of fingertips on the end points of energy meridians close to the surface of the skin. The idea is to send kinetic energy to our energy system, whilst a client is focusing on a past event, addiction or pain problem helps to release negative emotions, facilitating a straightening out of their energy system. EmoTrance is also based on the concept of energy healing. The client focuses their thought process and where they feel this energy disruption in their body – indicating where negative energy may be ‘stuck’- and then through this process it allows the energy to eventually soften and flow through and out of the body. To talk to our qualified therapist about bereavement counselling or stress counselling in Crawley, call Breath of Change now! For more details, or to talk to Belinda, please call 020 8873 2843 or 07973 410 375 or fill out an online enquiry form and we’ll get back to you.